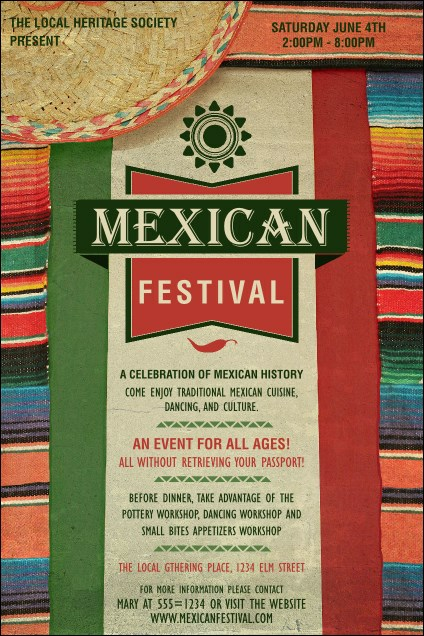 Celebrate the best of south of the border culture and advertise with the Mexican Hat Poster. Colorful stripes of a blanket form sit behind the Mexican flag on this design, with details listed down the middle. Use this template for Cinco de Mayo parties or cultural festivals! Measures 11.46" x 17.18" appx. Create memorable fiestas with TicketPrinting.com.